The Caroni river has begun flowing onto the Uriah Butler Highway again after receding earlier today. 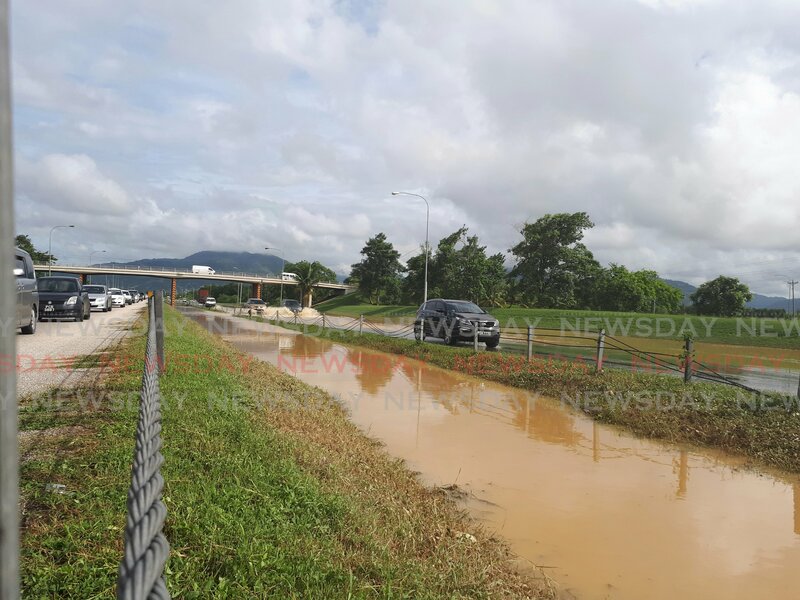 An official from the Ministry of Works told Newsday at 5 pm, that the river near the highway was at capacity near the Caroni overpass and the water had reached the edge of the road. Drivers are still on the Southbound lane but only two lanes are available as the third lane has been blocked by traffic cones to ensure the safety of drivers. Reply to "Caroni river crosses highway…again"